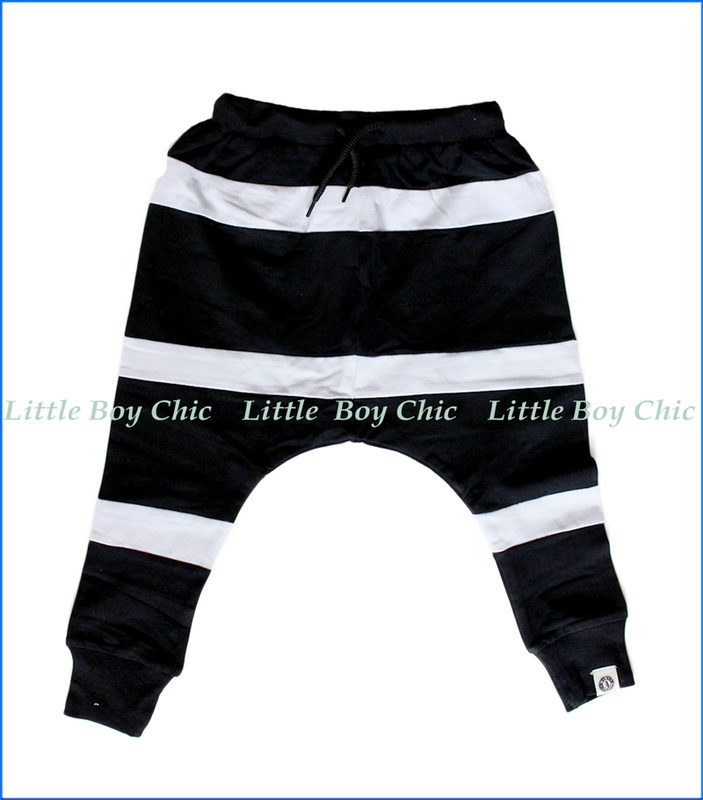 These wide-stripe harem sweat pants are too cool! Soft hand feel for maximum comfort and coziness. Gorgeous color contrast that is sure to get him noticed. Elastic waist with corded drawstrings, and elastic cuffs for tapered fit.